From The Jazz Singer to Woodstock to record-breaking tours by U2, Eric Clapton and more, JBL's legendary achievements in audio engineering and sound technology have played a pivotal role in how audiences around the world experience at its finest. JBL speakers amplify the music that immerses you in a moment. Don’t just look, really see. Don’t just live, experience. And don’t just hear #DareToListen. Minimum quantity for "JBL/ HK T290 Earphone" is 1. Minimum quantity for "JBL/ HK T450 Earphone" is 1. Minimum quantity for "JBL T110BT Pure Bass Wireless in-Ear Headphones with Mic (Gray)" is 1. Minimum quantity for "JBL T205 Pure Bass Metal Earbud Headphones with Mic (Black)" is 1. Minimum quantity for "JBL V110BT In-Ear Wireless Headphone Everest - Gun Metal" is 1. Minimum quantity for "JBL Everest V310BT Wireless On Ear Headphones" is 1. 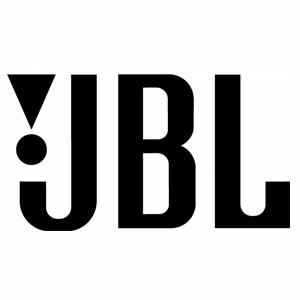 Minimum quantity for "JBL Wireless Headphone, V750NXT, Gun Metal" is 1. Minimum quantity for "JBL Reflect Mini Bluetooth in-Ear Sport Headphones" is 1. Minimum quantity for "JBL Endurance RUN Sweatproof Sports In-Ear Headphones with One-Button Remote and Microphone (Black)" is 1. Minimum quantity for "JBL T600BT ( Black) Earphone" is 1. Minimum quantity for "JBL Wireless Endure Sprint Earphone" is 1. Minimum quantity for "JBL Endurance Dive" is 1. Minimum quantity for "JBL Reflect Contour 2 earphone" is 1. Minimum quantity for "JBL T205BT earphone" is 1. Minimum quantity for "Mini Sound System Bar 51" is 1. Minimum quantity for "JBL Cinema SB150 Sound Bar" is 1.